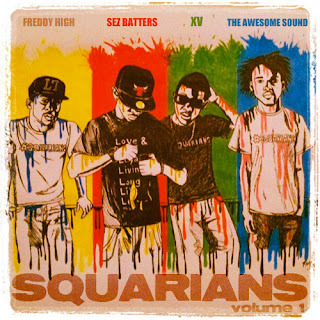 I have no idea how I missed this on Friday and I didn't even see this posted on any sites either, but rapper XV is back with his squad The Squarians on a new mixtape called Squarians Vol. 1. His crew involves producer The Awesome Sound, Freddy High, and Sez Battles,and we'll also get some production from Xaphoon Jones and araabMUZIK. Stream and download the tape below.